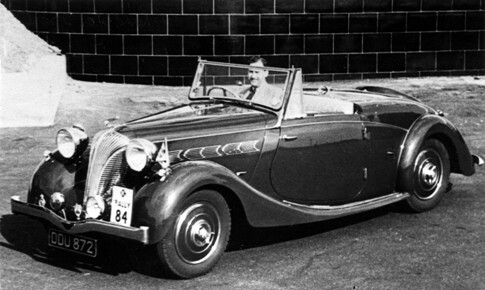 Between 1936 and 1940 Triumph made a large range of Dolomite saloons, sporting saloons, drophead coupes and roadster coupes. All these Dolomites were powered by Triumph’s own 4 or 6 cylinder overhead valve engines. Dolomites were easily identified, from Triumphs other models, by their flamboyant ‘waterfall’ radiator grilles which were subtly modified during their 4 year production run. Dolomite 14/60 – 1936 to 1940, 13.95 h.p. 1,767cc 4-cylinder, twin S.U. carburettor, overhead valve engine with 4-speed synchromesh gearbox. 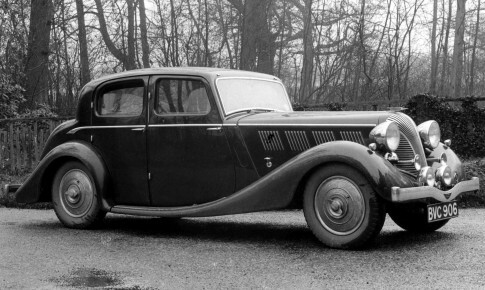 Dolomite 1.5-Litre – 1937 to 1940, 11.81 h.p. 1,496cc 4-cylinder, single S.U. carburettor, overhead valve engine with 4-speed synchromesh gearbox. 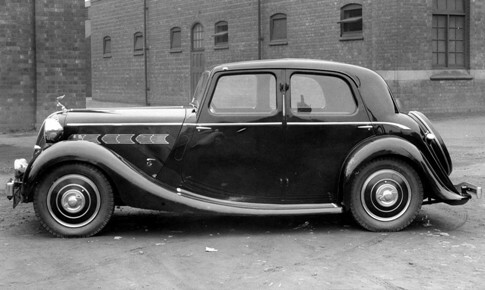 Dolomite 2-Litre – 1936 to 1940, 15.72 h.p. 1,991cc 6-cylinder, twin & triple S.U. carburettor, overhead valve engine with 4-speed synchromesh gearbox.